Cash for car Perth is your used, old Mitsubishi car buyer & Wreckers in Perth that doesn’t make you jump through hoops for a fair offer. We buy Mitsubishi vehicles of any model and condition, and age is not a factor for a good price, either. We know the value of your vehicle. Contact us today for a fair cash quote. 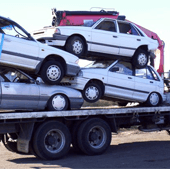 Cash For Mitsubishi Cars Perth & Wreckers – Sell Your Car Today! Cash is our standard at Sina Car Removal. 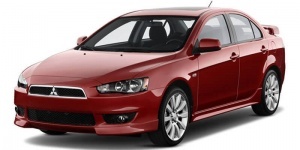 We are a Perth car buyer that specialises in used & scrap Mitsubishi vehicles. We don’t just make a good deal on vehicles we buy; we offer convenient car removals that are completed at no costs to our customers. The only requirement is that your vehicle is in Perth. Being the cash for Mitsubishi company in Perth that specialises in Mitsubishi vehicles, we buy every model, year and condition whether running or not. Sigma Scorpion, Space Wagon, Starion, Star Wagon, Storm, Rodeo, RVR, Nimbus, Nativa, Montero Sport, Model A, Minicab, Warrior, FTO, Fuzion, Eterna, Expo, Cordia, Leo, V3000, Mizushima, Freeca, Forte, and more! Whether a past or present model, running or torn into pieces, we have the kind of offers you’ll be interested in receiving. Just give us a call and we’ll make that offer over the phone. 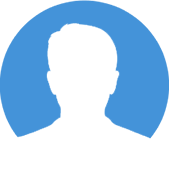 Vehicle owners can also obtain cash offers through our “Get a Quote” form on the top right of this page. 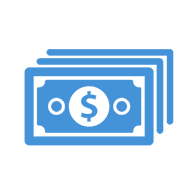 Instant cash quotes – When you decide that you’d like to get a price for your vehicle, we don’t require that you bring your vehicle to us for that quote. Simply give us a call or complete our “Get a Quote’ form. With a few details, our car appraisers can provide you with a cash offer. Free car removals – Our car removals are offered so that our customers don’t have the added expense of towing or the time consumption of travelling back and forth to our location. We offer free car removals Perth wide at a time of convenience to our customers. Instant cash payments – Our cash payments are paid at the time our technician comes to collect your vehicle. We guarantee that the price we offer is the price you’ll be paid provided you have given an accurate description of your vehicle. Our services are fast and convenient and always completed by the best and most courteous car technicians in the business. Just provide us with the details, and we’ll make you a cash offer on your unwanted Mitsubishi of any model, any year and any condition! If you no longer have the title of ownership for your vehicle, please let our appraiser know at the time of your enquiry for a quote. Should you accept our offer, we’ll then schedule an inspection and free removal that can be completed the day of your call.